There can be no steeper learning curve than that facing the new entrant to the teaching profession. In any school, the first year of teaching presents difficulties and challenges. We believe that The Nelson Thomlinson School offers an ideal environment in which to learn the trade. We frequently use the word “trade” in connection with teaching. It seems a bit like an affectation, but it isn’t. We find the word useful in conveying the notion that good teaching (like any real trade) derives from good technique. Personal qualities and eccentricities might be useful but they will not, on their own, do the job. Our priority for all new teachers is that they should be able to develop a secure teaching technique without fear of distraction. Opportunities to observe several lessons yourself, both within and outside your department via the Professional Development department and using the professional development room. 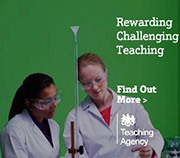 The chance to work alongside an experienced teacher to help you learn the role of Form Tutor. As a school we aim actively to support all our teachers, not just those in their first year. As NQTs evolve into RQTs (Recently Qualified Teachers), although the level of support drops in intensity, it is nonetheless still thorough. We regard it as our duty to ensure that RQTs are well placed to progress through the main pay scale and on to the upper pay scale when the appropriate time comes along.